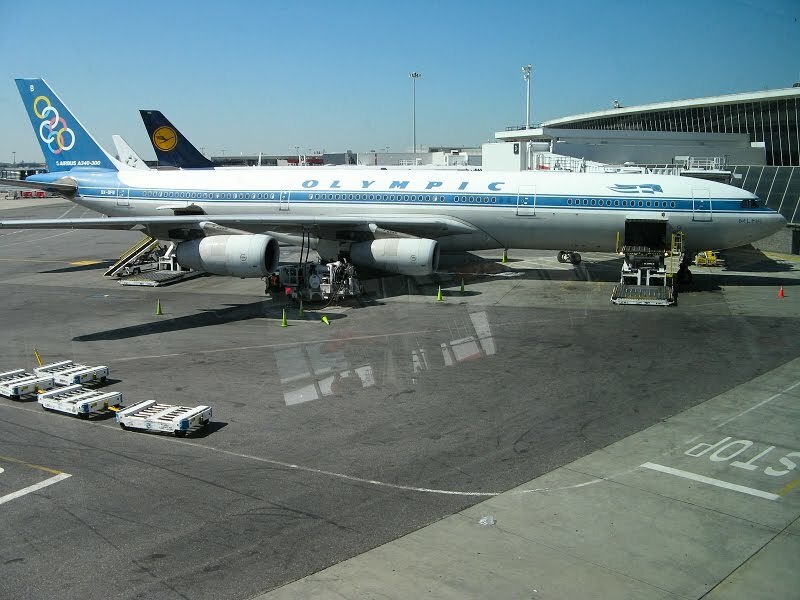 I have arrived at JFK aboard JetBlue's "Blue Traveler" on a spectacular blue sky day. I actually slept on that red-eye! 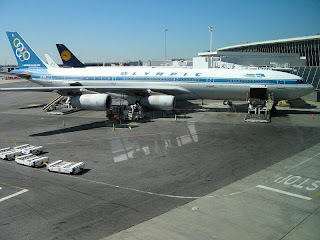 Now a monster lay-over before the long haul to Athens on this Olympic Airlines A-340 named "Delphi."